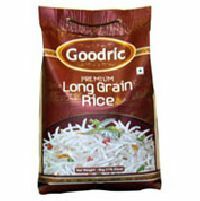 We are reputed Manufacturer, Exporter and Supplier of Goodric Premium Long Grain Rice in Uttar Pradesh, India. The Premium Rice we offer is known for its flavor and aroma. The quality Rice, we offer can be used for preparing variety of dishes. To retain its nutritional richness, we process the rice under the hygienic conditions. We offer Goodric Premium Long Grain Rice at the market leading prices. 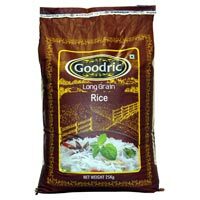 Based in Uttar Pradesh, India, we are one of the renowned Manufacturers, Exporters and Suppliers of Goodric Long Grain Sella Rice . The Long Grain rice we manufacture is tasty, easy to cook and is used in variety of the dishes. We can supply any quantity of Sella Rice as per the requirement of the client. 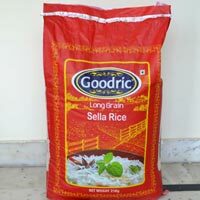 The Goodric Long Grain Sella Rice can be obtained from us at competitive prices.